Home / Dog Food / HOW TO FEED A PUPPY, THAT WON'T EAT. It's a question every dog owners encounter at least once in their life, and in my opinion (perhaps due of a cultural heritage that relates food to comfort and love) it's a one of the most disappointing of all issues. Keep in mind no animal will willingly starve itself. If your puppy experiences a lack of appetite or an adjustment in behavior that goes on for over a week, always have him or her seen by a vet. You have to rule out sickness before embarking on taking care of your puppy eating problem. That is one reason you need to check the puppy for an awful tooth as this is regularly disregarded as a reason for an eating problem. Include the gums and throat while you're carrying out the check. Moreover eating problem can be complex, the examination is often challenging. The tips offered here are as a matter of fact shortsighted and you should talk about them with your vet to check whether any of them are a reasonable solution for your puppy's circumstance. This next part is important: The single most usual way to improve a dog's appetite is to warm their food because it increases the aroma and makes it more appetizing. Likewise, consider mixing the puppy’s kibble with a little measure of canned dog food with a bit of water to make it enticing. You can likewise do the following four practices when your puppy can't eat all alone. Syringing: You'll require two or three large syringes from your vet. 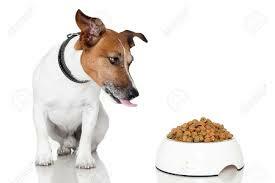 Using canned food; decide the amount of food your puppy needs to sustain his weight. Divide that amount down in half, and spoon it into a blender. Add enough warm water to the food and mix it into a fine puree. For every meal, delicately syringe the puree into the side of the puppy's mouth. Then again, you can cut the chase if the dog resist. Pry the puppy's mouth open and squeeze the syringe plunger down so that the food streams to the side and back of the dog's mouth. Stuffing: This is my least preferred method of feeding your dog for the reason that it's untidy and humiliating. In a nutshell, you make "food mixture" that is made narrow enough to slide down the back of the puppy's throat. A mixture of wet and dry food that has been pureed into a texture that allows shaping. A few people get better than average at doing this – and a few puppies who simply don't eat well turned out to be so used to eating along these lines that they'll stand calmly, lift up their little heads and open their mouths like guppies in anticipating for the next "mixture." Since the only thing that is in any way important is getting food into the dog, you do what works. An IV attach: This is an "easy decision." At this point, a puppy is ill to the point that an IV is the final resort. It is not a viable alternative for the calories gotten from genuine food; however, at times it acts like a Band-Aid until the puppy is recovered and ready to eat all alone. HOW TO FEED A PUPPY, THAT WON'T EAT.